Applications are supposed to be there to provide added value in our lives. Nobody keeps an app that doesn’t improve their lives and make them feel as if they are getting something they always wanted. Even if, perhaps deep down, we all really know that we could have done without it. The art of any perfect app these days is providing that added bonus that makes the user think that they were unsatisfied before and that they must have had trouble getting by in the days when the app didn’t exist. That’s the whole art of designing a perfect app. People are asking themselves how they can create, in the globalized world in which we live, some sort of growing proximity between groups. Yes, the world might be globalized and globalizing more and more, but there are some that are tribalizing and turning towards community projects. We’re looking for likeminded people that think and act in the same way and ones that are ready to help us out. Yes, there are people all around the world, but right here there are people living on our own doorsteps that are willing to provide us with help in a whole manner of circumstances. eyesHelp, how does it work? 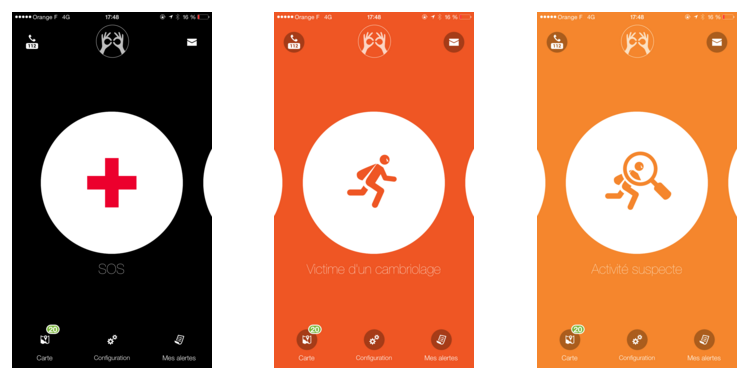 The app works like an interface that sends out an alert to people that are in the vicinity, users of the app, and are willing to provide help. Those ‘helpers’ can either provide first-hand help themselves or they can alert authorities to intervene if necessary. The “SOS” button means that in a click you can signal to those around you that you need help, either because you have a health problem or because you are being broken into or been robbed. The “Suspicious Activity” button activates warning to those around you that something that’s not quite normal is taking place and they should be on the look-out for suspects, perhaps ready to take photographs. The “Disappearance” button means that you have lost someone, or your pet or an object and you want people to help you look for it. You can even make a detailed description of what you are looking for so that people can keep their eyes open. We are all looking for that added safety that will make the homes we live safer. A burglary happens every 15 seconds on average in the USA and every 90 seconds in France. Fear is often worse than the actual crime taking place and knowing that there is an app there somewhere with people ready to provide help can be a help in itself. The neighbourhood watch schemes created in the 1960s where communities started for the first time organizing themselves in the USA into groups that were looking after each other quickly fell out of fashion twenty years later as the world became more selfish. We forgot perhaps that living in a community means helping those around us. The community-spirit was supposed to have died long ago, but it seems like new technology and apps like eyesHelp are providing the possibility of its come-back! In fact, it was a break-in that was witnessed by two out of the five founding members of the company that created the application that lead to their coming up with the idea. 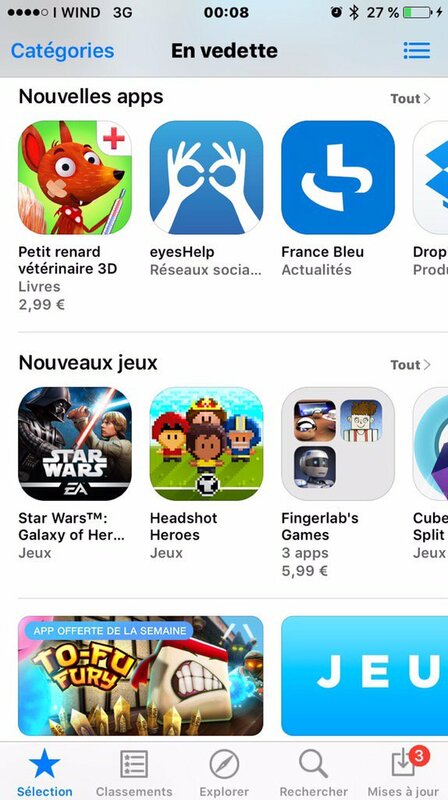 Apple liked eyesHelp so much that they placed it on the first page of the suggestions for downloads on the AppStore. For sure, that’s everybody’s dream road to success and one that will ensure success in the future. That’s because they have added value and are providing something that’s making the lives of people better. Your mobile app has to be designed bearing in mind the value it will bring to your users!